Robert Lewis Dear is one of many religious extremists bred in North Carolina: Domestic terrorists threaten us more than Syrian refugees. 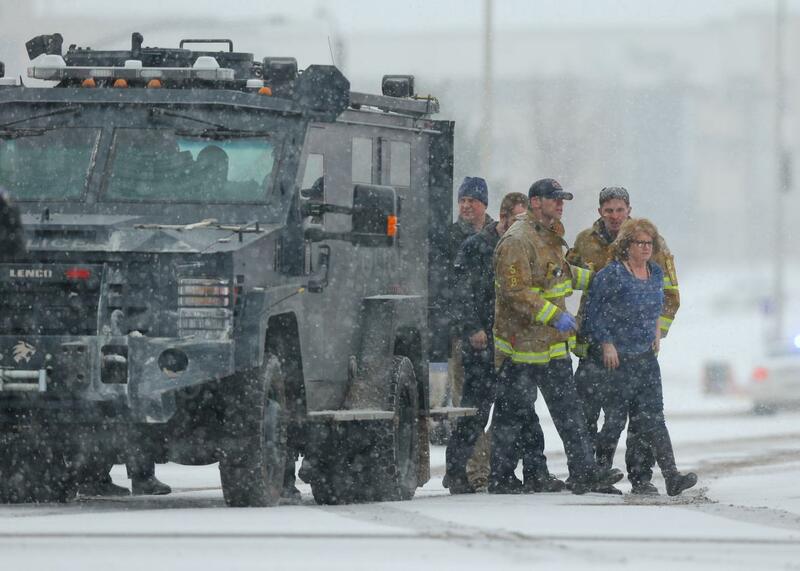 Hostages are escorted out by police during the active shooter situation outside a Planned Parenthood in Colorado Springs, Colorado, on Nov. 27, 2015. Among dozens of avowedly Christian, anti-Semitic, and right-wing terrorists cataloged by the Anti-Defamation League and the Southern Poverty Law Center, you’ll find many from these two states: Charles Robert Barefoot Jr., a North Carolina Klan leader who was convicted in 2012 on charges involving firearms, explosives, and violent conspiracy. Kody Brittingham, a Marine at Camp Lejeune who confessed to plotting the assassination of President Obama. Paul Chastain, a South Carolina militiaman who tried to acquire plastic explosives and threatened to kill federal officials. Steve Bixby, a violent activist from an anti-Semitic household, who gunned down two police officers in Abbeville, South Carolina. Daniel Schertz, a Klansman arrested in Greenville, South Carolina, and later convicted, on weapons charges involving racist bomb plots.